The Highland Society of London launched an appeal in 1808 to raise money for an Asylum to house and educate the many young Scots who were roaming the streets of London, having been orphaned by the Napoleonic wars. It took seven years to raise sufficient funds and to prepare the necessary Act of Parliament needed to create the Asylum. Finally, on 14 June 1815, The Caledonian Asylum was launched by Act of Parliament. The original Life Guardians included their Royal Highnesses Frederick, Duke of York and Albany, Edward Duke of Kent and Strathearn, Augustus Frederick, Duke of Sussex and Earl of Inverness. Others included the Dukes of Marlborough, Buccleuch and Queensbury, Gordon, Argyll, Montrose, Roxburgh, and Arthur Wellesley, Duke of Wellington. Following its incorporation the Guardians started the long process of finding a site for the Asylum. In March 1819 the first six boys were elected and six good London women were paid a shilling (5p in today's currency) a week to care for them. The first Asylum was opened in December 1819 in Hatton Garden and was replaced in 1826 by a newly built Asylum in Copenhagen Fields, Islington. It remained there for 77 years and lent its name to the "Caledonian Road". Initially the scholars were all boys but in 1844, following some alterations, a space was found in the Asylum for a new school for girls. 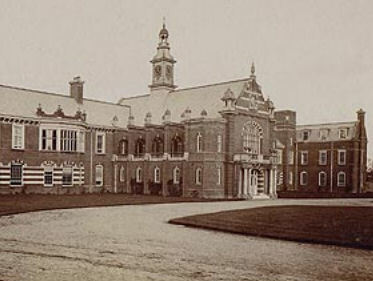 In 1852 Her Majesty Queen Victoria became Patron and the Asylum was renamed the Royal Caledonian Schools, although legally it was and still is the "Caledonian Asylum". Royal patronage has continued since then. "The Immediate neighbourhood is not pleasant. Cheek by jowl with the Asylum sits Pentonville Prison whose precincts have been darkened by the worse criminals the nation affords, and around it gathers the scum of all the nation on earth. Indeed one might walk the whole length of the Caledonian Road from Kings Cross to Holloway and Holloway again for a day and see nothing that his eye could rest on with pleasure except perhaps the "weel-faured" faces of the boys and girls of the Asylum in their dainty highland dresses." Concerns like this had already lead to the Directors deciding to find a new site. By the end of 1897 they had decided to move to Bushey in Hertfordshire. Eventually after various appeals £37,400 was raised and the new schools project was up and moving. Part of the money came from the London County Council who purchased the old Asylum for £16,000, demolished it and built flats. These flats still remain and our history is remembered on the gates which are adorned with thistles. The School in Bushey, which still stands in Aldenham Road, cost £40,000 and was built by Kerridge & Shaw of Cambridge. The architect was William Emerson, the then President of the Royal Institute of British Architects. 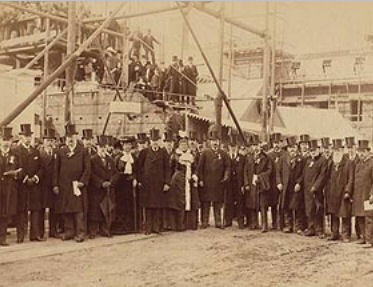 The Memorial Stone for the new Building was laid on 10 May 1902 by Her Royal Highness the Princess Beatrice, Princess Henry of Battenberg, a glittering occasion with great ceremony. 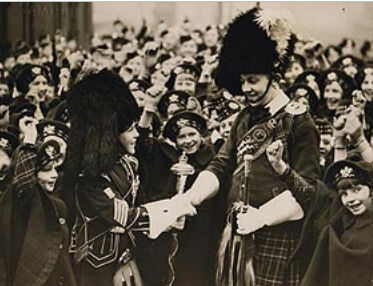 Later that month Bushey saw another procession when the children arrived from London by train and marched from Bushey Station led, of course, by the Schools' pipes and drums. destroyed during the Second World War. It was through the pipes and drums that the Schools left their permanent impression in Bushey with regular church parades and at local ceremonies. For many years the Caley Pipes and Drums played their part in Armistice Day commemorations at the Bushey war memorial. With many Caley scholars joining the armed forces it is believed that ex-Caleys will have played their part in virtually every armed conflict since 1835. Caley lives were lost in both the First and Second World Wars. During the Second World War the dining room was damaged due to enemy action and the school chapel was destroyed due to an electrical fault. 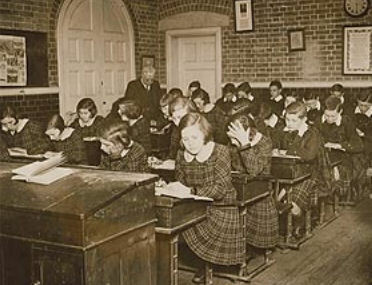 From 1903 to 1948 education was provided at the Schools. The regime was strict but the children received a good Scottish education. 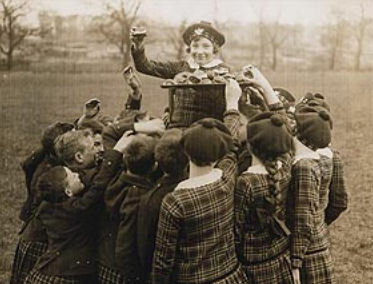 After 1948 the children attended local state schools. 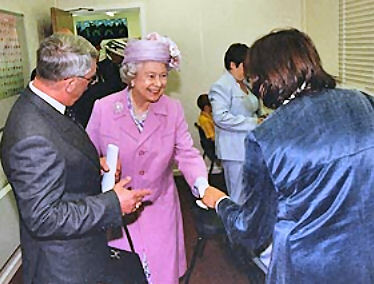 Many royal visits to the Schools took place. In 1925 the Prince of Wales who later became King Edward VIII visited the Schools, and the following year the Duke & Duchess of York (who later became King George VI and Queen Elizabeth) came to present prizes. This was the beginning of a long association with the Schools for Queen Elizabeth who as Queen Mother made two further visits and always took a real interest in the work of the schools. In 1986 our present Patron Her Majesty the Queen opened Coltart House, the then new 6th Form accommodation. By 1995 the Directors, having given consideration both to the future of the Schools and the wishes of the original founders, decided that the best way to continue their work into the 21st century would be to close the Bushey premises, sell them and invest the proceeds of sale to provide an income for a new Educational Trust. The buildings were purchased by the Purcell School, one of the four principle music schools in the UK, so music continues to grace these important buildings - only now the pipes and drums have been exchanged for other classical instruments. 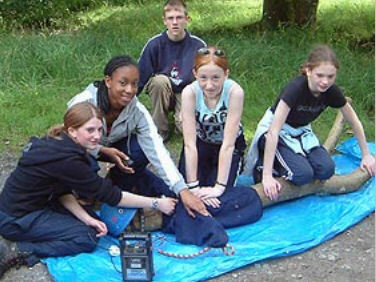 Since the educational trust was formed we have helped hundreds of young Scots and awarded over one million pounds in grants. A whole new generation of Caley Scholars is emerging. Our links with the Armed Forces remain strong and we have recently launched an educational project which continues our work in helping to alleviate the effects on service children caused by the moves required of their parents. Research desperately needed to find service children in Scottish schools. There are an estimated 175,000 service children in the UK and this figure is rising as more parents engage in service in Afghanistan. With media coverage of the war at all time high, is anyone thinking about the impact of war on Scotland’s service children? There are no official statistics on how many Scottish service children there are and where they are based. Carolyn MacLeod from the Royal Schools Caledonian Trust states the Government’s lack of available information on how many Scottish children are affected by the war is “not good enough. It is imperative for Scotland to have tangible research on the number of service children in their schools to identify, locate and support them to achieve at such a turbulent time." The Trust's Education Wellbeing Project, one which has been recently launched in Fife; is one of the ways they are supporting service. children. This project aims to educate teachers about the impact of war on service children and supply tools to enable them to deal effectively with children who are affected by the war. The 18 members of the project, including teachers, educational psychologists and service personnel feel that the project will enable them to offer more support to these vulnerable children. Carolyn MacLeod goes on to say that "each service child should have a 'passport' so that if they are relocated, the new school can see at a glance a progress report instead of a child having to constantly re-sit entry exams. Each school should have training and systems in place to help service families and most importantly schools should have a 'critical plan' in response to tragedy." The Royal Caledonian Schools Trust was established nearly 200 years ago to help educate the sons and daughters of Scots who were serving. It is a crucial time for the charity, but with the help of Scotland we can succeed in our mission to support Scottish service children. If you would like more information on this topic or to schedule an interview with Carolyn MacLeod, please call Chloe on 07900 210472.